Welcome to the home of the Kalaheo Dental Group! Our friends and neighbors in Kalaheo, Omao, Koloa, Lawai, Poipu, and all over Kauai have trusted their dental care to our experienced team for decades. We’re aware that many people don’t look forward to dental visits. But we know from years of experience that dental care doesn’t need to be stressful. Our team takes pride in working together to create a welcoming environment that makes it easy for you and all of your ohana to relax and get the treatment you need. We want you to feel comfortable when trusting your whole family’s care to our team of experienced professionals. When you arrive at our office you’ll always find a warm, friendly face to greet you. You can feel comfortable putting your family’s oral health care in our hands. We’ve treated generations of the same families, and we’re proud of the trust that our patients have put in us over the years. Creating ongoing relationships helps us learn what’s important to our patients so we can provide truly personalized treatment. Dr. Michael Lutwin, Dr. Ron Quade, Dr. Kelliann Rita, and our entire knowledgeable team will create a customized treatment plan by getting to know you and learning about your dental health goals. We offer all the preventive treatments your ohana needs to help you avoid complicated dental problems and costly procedures. 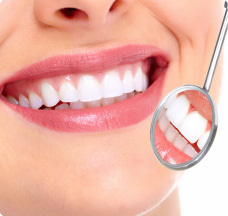 No matter what the current state of your oral health, we’re here to help you achieve a stunning, healthy smile. At Kalaheo Dental Group, we want you to feel confident that your child’s oral health care is in good hands. Our team is gentle and caring, and we know that children have unique needs when it comes to visiting the dentist. Early dental care sets the stage for a future of problem-free oral health. Our team focuses on making each of your child's visits enjoyable and stress-free. We know how to make visits fun so that kids actually look forward to seeing us. We even let your child choose a fun toy from our toy box to keep them motivated for future visits. 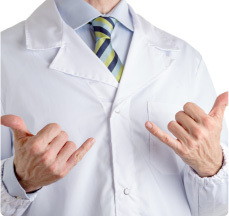 Technology has made life easier in many ways, and dentistry is no exception. We're excited about recently upgrading our technology, and we think you'll find that these improvements make your dental treatment comfortable and more efficient. We’ve installed a new digital imaging system that benefits you by providing the safest and highest level of diagnostic capabilities to help identify dental needs for early prevention. Digital imaging is also earth-friendly because it eliminates the need for toxic chemicals and waste. Our new digital panoramic imaging makes many procedures much safer for our patients. For those folks who in the past have had a hard time taking check-up pictures for prevention, we can now offer the option of having check-up imaging done outside the mouth! Getting the quality dental care you deserve should never feel like a hassle. Our flexible scheduling allows us to make appointments that fit your busy schedule. If you or someone in your family has a dental emergency, we’ll do our best to see you the same day. You shouldn’t ever sacrifice good dental care because of financial concerns. We work with all major dental insurance providers, and we’ll make sure that you always receive the benefits you're entitled to. If you’re uninsured, we’ll be happy to talk to you about our other financing options. 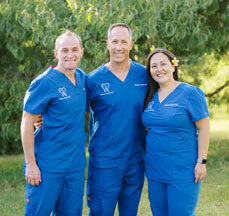 We invite you to stop by our Kauai dental office to see our new upgrades and discuss how we may be of service to you. Finding us is easy – our office is conveniently located on Kaumualii Highway in the Rainbow Plaza. 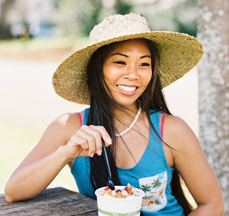 We look forward to helping you and your ohana enjoy the benefits of excellent oral health! Mahalo! Subscribe to our mailing list for office news, patient specials, and more! A convenient way to make the dentistry you need or want more affordable with low monthly payments. Get your teeth up to 8 shades whiter! We're offering a limited-time GLO Whitening special for $449 plus tax (regular: $549 plus tax) now through April 30, 2019. If this is something you've always wanted to do, now is the time to do it!